Special Limited Edition for Project Funding will include signed and numbered 500 units (beginning with 003/500) of a Direct-to-Disc double vinyl album, 45RPM, 180 gram recording. Product is scheduled to be released in Spring 2019 (target is April 30th). Shipping will be billed at cost when product is available (domestic and international). All orders are on a first come, first served basis based on PayPal order date and time of purchase. All California purchases will be charged sales tax. 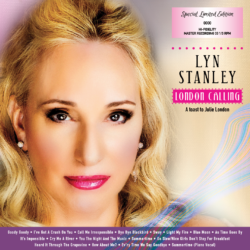 While both Lyn and London could be described as sultry and sophisticated singers, the upcoming session will be an appreciation, not an imitation of London’s material selections. 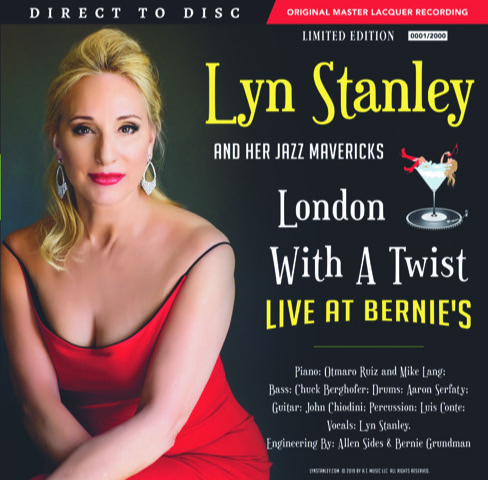 Not only will Stanley put her own distinctive stamp on the material London performed—she has decided to include some of Julie London’s husband’s works as well as pop songs Lyn thinks will set a lively pace to a live album. The songs the band are considering include: Route 66 and Girl Talk, both written by Julie London’s second husband, Bobby Troup (Neal Hefti wrote the music for Girl Talk; Troup wrote the lyrics). We are also working on Let There Be Love, Body and Soul, Pink Cadillac, You Never Can Tell, Mustang Sally, Lover Man, Bye Bye Blackbird, What Is This Thing Called Love? The album in vinyl format will be 45RPM, 2 discs and 180 grams. 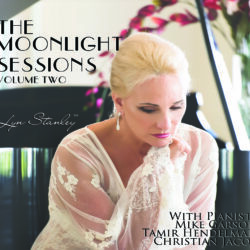 In addition to acclaim for her velvety alto, choice of material, and her unique and personal approach to songs, Stanley’s attention to detail in the studio has garnered raves. This recording must utilize the best possible lathe in Los Angeles, so it will be tracked at Bernie Grundman Mastering studio in Hollywood. The ever so fastidious mastering guru, Bernie Grundman, will commandeer the coveted Grundman studio lathe. In addition, Bernie’s long time associate and fellow audiophile, multi-Grammy winning engineer, Allen Sides will ensure the highest quality sound and mixing. Allen will also be supported by Capitol Studios top engineer, Steve Genewick. Lyn can be counted on to surround herself in the studio with the crème de la crème of musicians. For this venture, she’s aiming for the intimate sound of piano, bass, drums/percussion, and guitar. 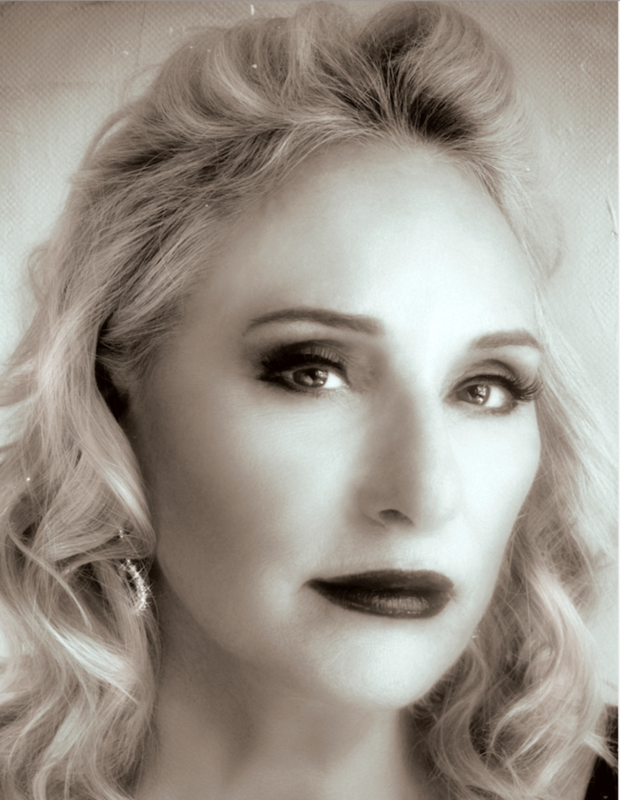 The band lineup hasn’t been finalized, but Lyn has engaged Arturo Sandoval’s long time extraordinary pianist, Otmaro Ruiz, along with her previous collaborators including legendary studio jazz pianist Mike Lang, Wrecking Crew and Frank Sinatra’s bassist Chuck Berghofer, plus featured guitarist John Chiodini (Peggy Lee and Natalie Cole), percussionist Luis Conte (James Taylor touring artist) and award winning Latin percussionist/drummer, Aaron Serfaty. All musicians are subject to change. Always the perfectionist, Lyn looks forward to recording a direct-to-disc. “You have to be into the musical moment. There’s pressure on everyone—me, the musicians—we have to be totally prepared. But it’s a great format if we execute it well.” I plan to let the real experience of a “live” recording happen, even the countdowns, so my fans can feel like they are live with us in the studio “lounge.” We are planning on this album to be pressed by the excellent pressing plant, Pallas in Germany, with a delivery date in late April, 2019. Stay tuned for more details on this exciting project. including a worldwide touring show for 2020. Who knows, this could be the start of a great new series of tribute albums from the ever-creative Lyn Stanley.